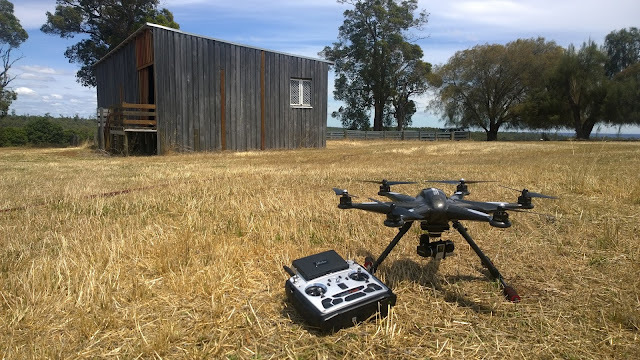 Tech: Walkera Tali H500 hexacopter drone, GoPro Hero 4, Droid Planner 2, Autodesk Recap 360, Autodesk Revit, Event 38 DDMS. 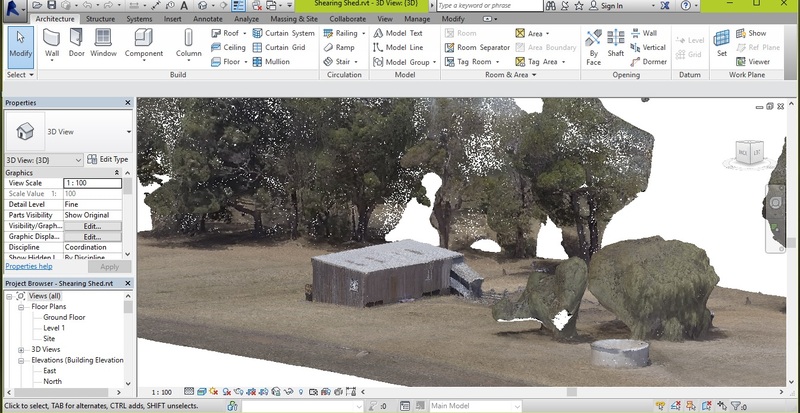 Outcome: Recap 360 can produce a 3D model and then export it in a .RCS format for Revit to import it as a point cloud. The quality of the model and point cloud is very important for accurate modelling and documentation in Revit. 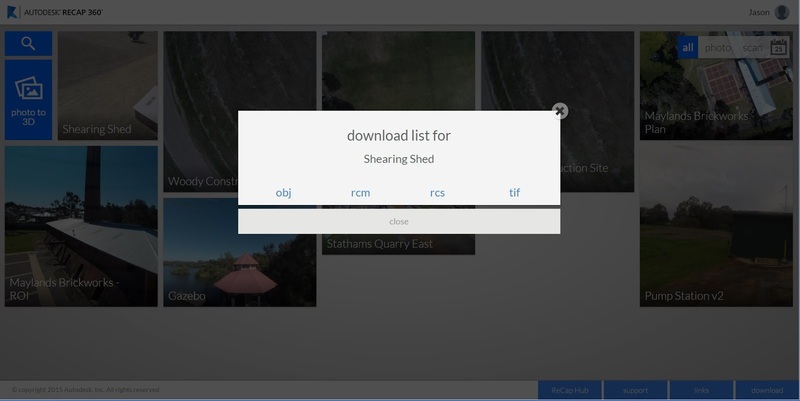 Months ago I watched a video from Autodesk showcasing it's 'reality capture' technology, in that video they demonstrated a drone taking images then converting the images into a 3D model, then importing the 3D model into Revit to create an Architectural concept. I was facinated with the technology and excited about trying it out myself. I found the perfect test subject, the shearing shed down on the chestnut farm. 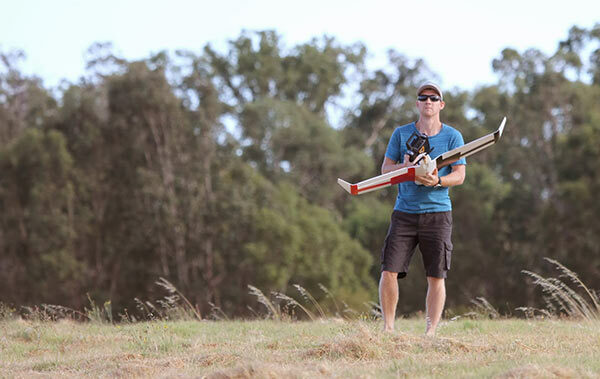 It's a nice easy shape and in a relatively clear area. So I got the Tali H500 out and mapped the structure using both nadir and oblique techniques. Once the aerial survey was complete the next step was to take the images and process them using Autodesk's Recap 360 online service. I've used this program previously and whilst it's easy to use I have found that it doesn't give excellent results, that is that I haven't been able to great results from it yet. Nevertheless I created a new project and set Recap 360 to work using both image datasets. you can see a few screenshots from the process below. I exported the finished 3D model as an .RCS file, Revit imports this as a point cloud. Once the point cloud is imported you have effectively got a 3D 'site survey' that you can view just like any other 3D object in Revit. 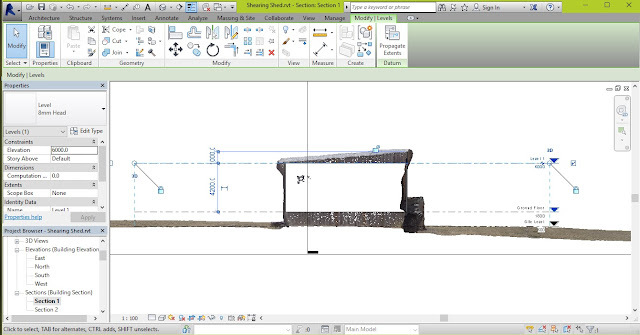 The point cloud has also been scaled and placed accurately within Revit so all measurements and references are correct. 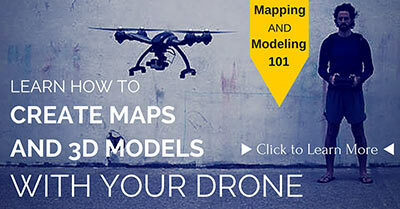 A user can orbit around the point cloud, cut sections through it, create plan views displaying it etc. The idea, I guess, is you can use it as a reference for a building extension. You simple start modelling Revit elements up against or around the point cloud. 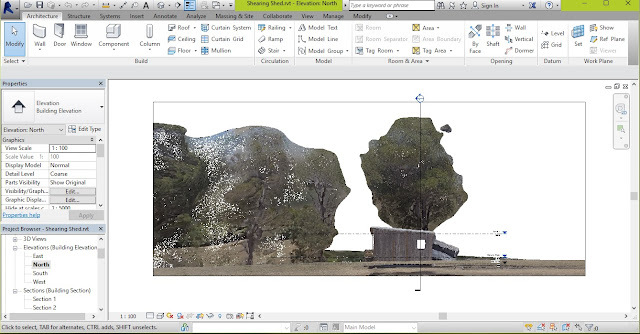 See below some screenshots from views created in Revit showing the point cloud in action. I also took this opportunity to run the images through another couple of other post processing services I have discovered. 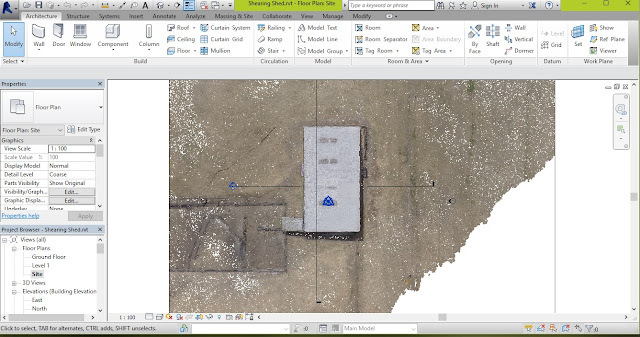 You can see below the results of an orthomosaic created using the Event38 DDMS service. Below is an orthomosaic that I had generated by MapsMadeEasy.com. I haven't used their 3D model service as yet, but do like how well this map has been created and the public sharing features they have. Feel free to zoom in and out and scroll around to take a closer look at the map. Also, find below the 3D model uploaded to Sketchfab. You can orbit this model plus zoom in and out. The quality is not as good as it is in the original form, but it's pretty close. You might have to give it a few moments to load all the textures. This model wasn't created in Autodesk Recap 360 it was created in Agisoft Photoscan on a medium setting. Even though it was created on a lower setting, I still think it is a crisper, more accurate model than that produced by Recap.